Through our International Internships you will receive a real and meaningful life experience while helping to eliminate poverty and create dignified conditions where everyone wants to live. You will find the best opportunities according to your abilities and interests. young people have gone through the International Internships program. All interns will be assigned specific jobs that must be delivered with a final report. 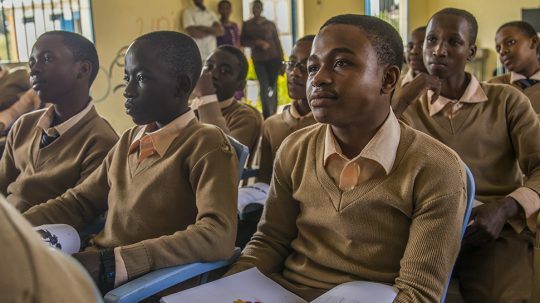 There are opportunities available within our four main programs: Poverty Stoplight, Microfinance, Self–sustainable schools, and Entrepreneurial Education. The requirements for application to our internships can be found at the end of this section. The Poverty Stoplight is a social innovation tool that seeks to activate the potential of families and communities to escape of poverty. The interns will work on producing deliverables for the different areas within the program, to become pioneers of projects that change lives. We also offer the option of conducting an original investigation subject to the approval of the Methodological Committee of the Poverty Stoplight. Through the Poverty Stoplight Businesses Network the associated companies eliminate poverty of for their employees and share the how this was accomplished with all the members of the Network. 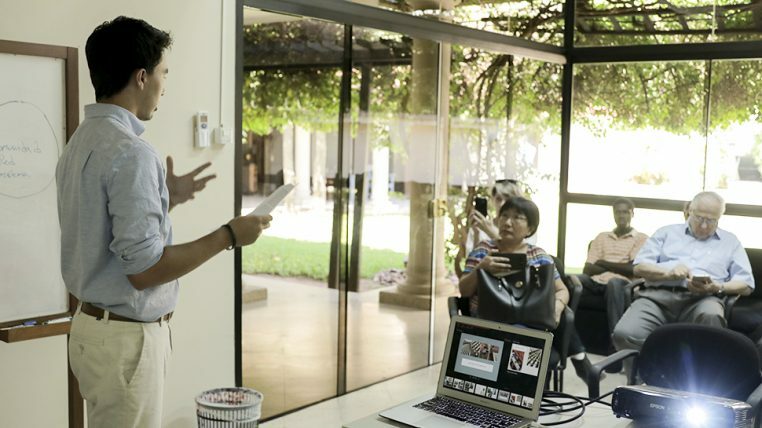 So far we have worked with more than 90 Paraguayan companies. A crucial product of this internship is the creation of the Poverty Stoplight Solutions Bank. We seek to bring together internal and external stakeholders of the Poverty, from the implementers to academics. An important product for this internship will be the plan to involve different actors from the media to government and other non-profit organizations worldwide. With the Poverty Stoplight we help international organizations, from the United States to Papua New Guinea. Our team works in the adaptation and implementation of this tool. The product of this internship will be a business plan model for the poverty stoplight replica team. The Poverty Stoplight has gone from working exclusively with our clients to working with international organizations from different sectors. With the collection of data we seek to improve our vision. One of the main deliverable of this internship will be to update this database. 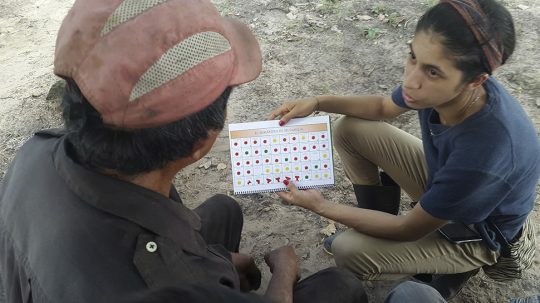 Our team is continually undertaking an internal evaluation of the Poverty Stoplight to analyze its effectiveness as a poverty elimination tool. The intern will assist in the process of compiling and analysis of data from Microfinance clients and a control group that uses the Permanent Household Survey provided by the local government. 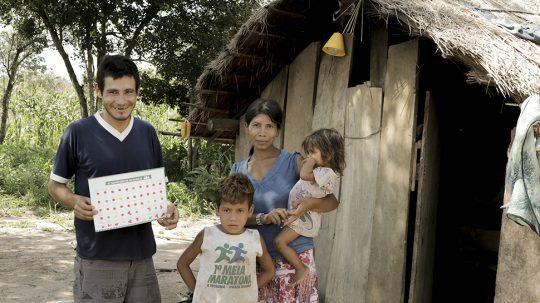 The Poverty Stoplight is being applied to the Cerrito in northern Paraguay, where we look for interns to work closely with the beneficiaries to provide solutions to overcome poverty within all the indicators through mentoring, supporting the Bank of solutions, improving the income and savings of families, health and environment, safety, hygiene, housing, waste management , environmental education , health education, multilingual education, linguistics, youth entrepreneurship, arts, marketing and use of ICTs in schools. 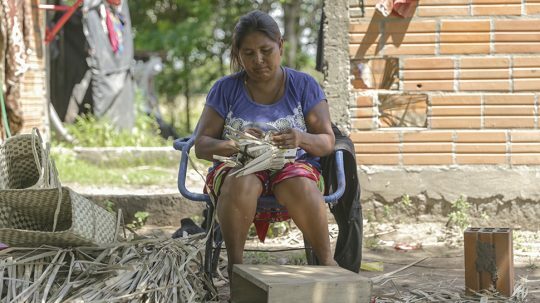 The women of the Cerrito Qom indigenous community produce handicraft that are woven with native natural fibers , however, it is not possible to subsist in a sustainable way with their traditional livelihoods. 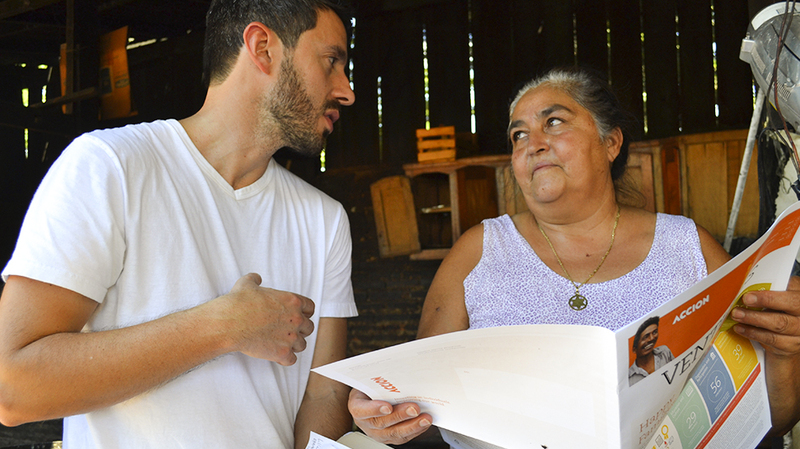 As part of a participatory process , the intern with experience in art and design will work with family producers to catalog and innovate new designs considering their ancestral roots and improve production processes to establish a business plan to help them access new international markets. 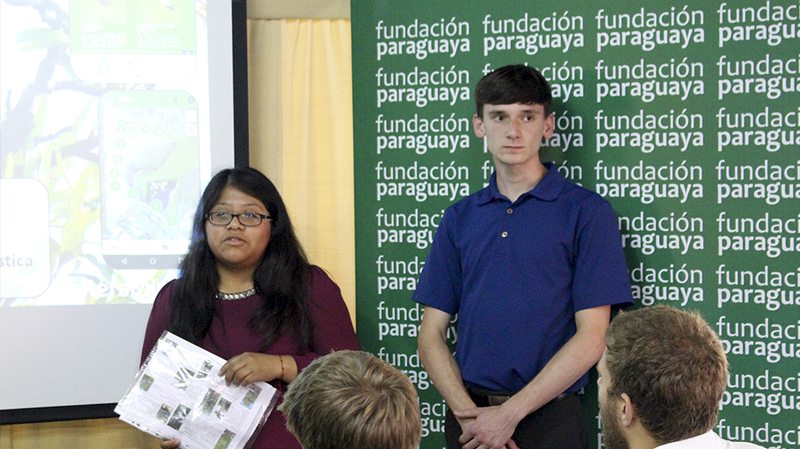 Fundación Paraguaya is seeking interns to help develop the “Education Stoplight,” a new tool that seeks to activate secondary-level students, through a self-assessment, beginning with the current Paraguayan curriculum, pedagogy, and evaluation systems. This year we aim to design the tool and carry out a pilot to implement the Educational Stoplight in our self-sustaining schools. The goal is to promote academic excellence through personalized approaches to learning and empower students to take action on their education, see their needs and achieve their aspirations with the help of their parents or mentors and teachers. 1. Review and analyze the existing literature on self-assessment methodologies and learning plans. 2. Support in the development of the personalized learning plan. 3. 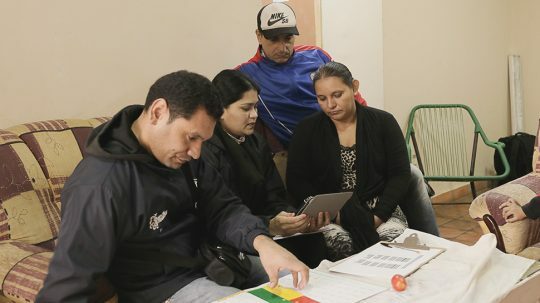 Work with the Poverty Stoplight’s multidisciplinary team to achieve an integral knowledge about the key elements that can be adapted by the Education Stoplight. 4. Support in the construction and critical analysis of the indicators of the Education Stoplight. 5. 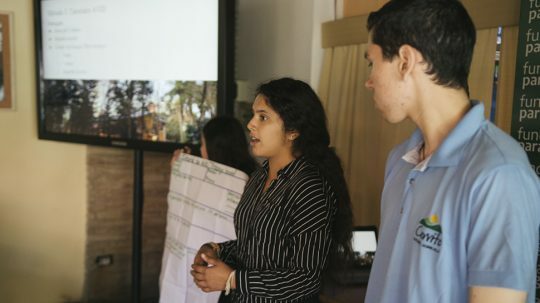 Organize co-creation workshops for the Education Stoplight with the assistance and contribution of teachers and students of the Cerrito School who are interested in improving learning in the classroom. With our educational model “Learning by doing, selling and winning” young people are transformed into rural entrepreneurs. The interns may choose to work in one or more related interns depending on the time available and their particular interests, and they will be supervised by the Manager of Self- Sufficient Schools , working in conjunction with the collaborators and / or other interns who are carrying out similar projects. The interns would help the students in subjects such as English language, develop business plans and carry out technical assistance in various productive units of the schools. 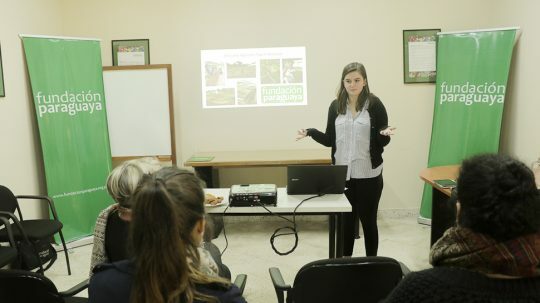 The intern will seek, investigate and digitalize the educational material regarding agriculture, hotels and tourism for a virtual educational platform and facilitate communication between you and sef-sustainable schools program through the publication of written and audiovisual material for teachers and students. The intern will support the tracking of the ex-students of the Self-sustainable Schools Program and develop the new tracking platform. Self- sustaining schools have a computer lab, however, many of the students have no experience in using a computer. 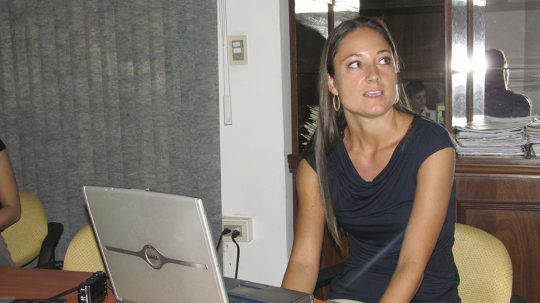 The intern will help give classes and workshops on the basic use of computers through the development of touch typing skills, spreadsheets such as Excel, as well as other ICT skills. Students live on campus and require support for their socio-emotional well-being. 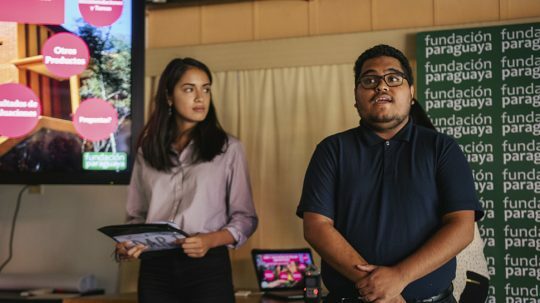 The intern will develop and hold workshops on topics such as mindfulness, self-image, relationships, bullying, alcohol, drugs, violence, and also develop new clubs in schools. We look to promote entrepreneurial and creative spirit, in addition to developing leadership in children, women and young people. Interns may choose to work in one or more related interns depending on the time available and their particular interests. They will be supervised by the Program Manager, working with partners and / or other interns who are doing similar projects. Assist in the coordination of our public schools and youth programs. Carry out an analysis and monitoring of the schools that participate in the economic education program. Assist in the organization of events, and help with administration and logistics. 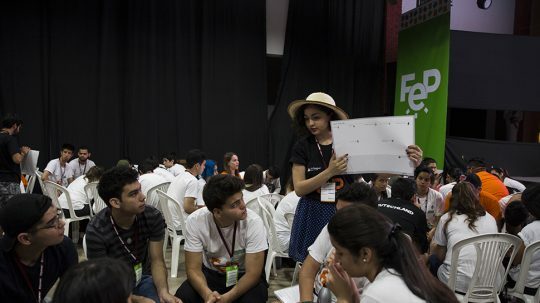 Assist, analyze and evaluate the development of pedagogical proposals for new entrepreneurial education programs and help in the programs that are already in development. 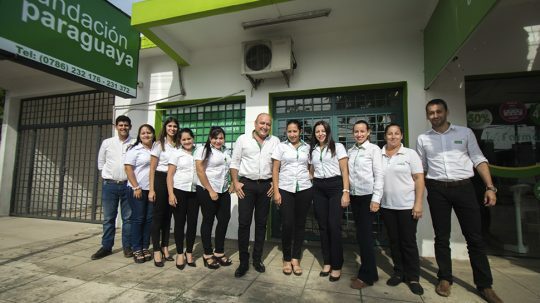 We provide the most vulnerable sector of the country, through financial services that can create, or strengthen microenterprises and thus eliminate the population of Paraguayan families. Interns may choose to work in one or more related interns depending on the time available and their particular interests. They will be supervised by the Microfinance Manager, working together with the collaborators and / or other interns who are carrying out similar projects. 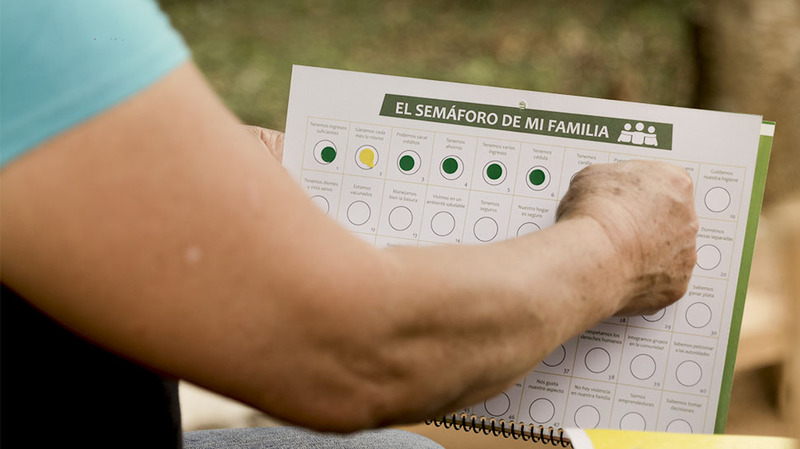 Create a report that summarizes the best practices of managers, officers, and credit assessors of Fundación Paraguaya in order to successfully systematize and replicate these practices across all offices. 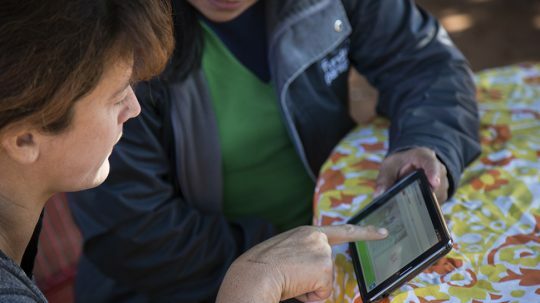 Conduct a market study to investigate new microfranchises. Conduct field research, present reports and evaluate suppliers. Assist the microfranchise manager in the initial contact and develop a pilot that includes proptypes, manuals etc. The intern should study methodologies and manuals provided by Fairborne. We offer opportunities for internships in the other areas including the Department of Communication, Monitoring and Evaluation and others who seek to capture interns’ high level of knowledge and experience. The internships available in the Communications department are related to: graphic design, translations, audiovisuals, video editing, VFX and animation; photography, social networks, writing and editing articles, newsletters, production for television and radio. 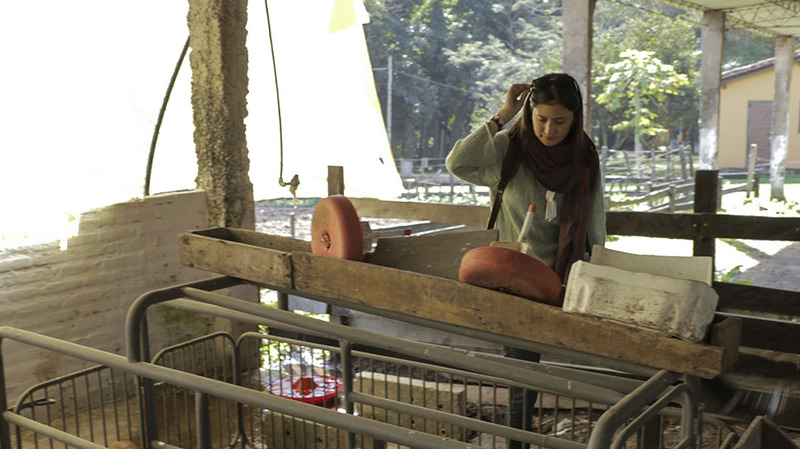 Internships available in the Monitoring and Evaluation Department relate to: workshops for the employees of the Fundación; implementation of the appropriate data capture processes; collect and monitor data; feedback and data analysis. Duration: We recommend trainees to work at least a month, however the longer the duration, the greater the experience and learning. Profile: Interns do not necessarily have to have an academic degree; however, they must have knowledge and experience in the topic of the internship to which they apply. 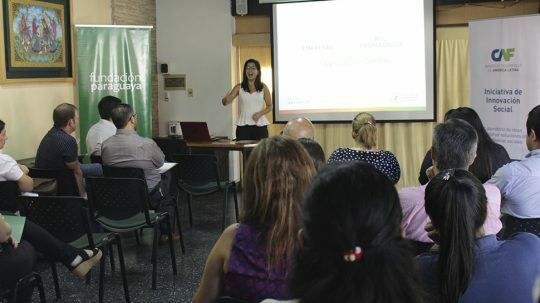 Language: We recommend the basic management of Spanish, especially for internships outside Asunción. Age: All interns must be over 20 years old at the time of beginning the internship. Admission process: All people wishing to apply for an international internship in the organization must complete and submit the application form, which can be downloaded on this website, accompanied by a curriculum vitae, and a photocopy of the passport or identity document. We will evaluate the documents and, to pass this first stage, a first videoconference will be coordinated by skype; then there will be another videoconference with the supervisor of the internship and at the end of this process it will be decided if the application is accepted. Visas: Most countries need a visa to enter the country. We will help the interns accepted with the visa process, but it is the responsibility of each intern to process theirs. 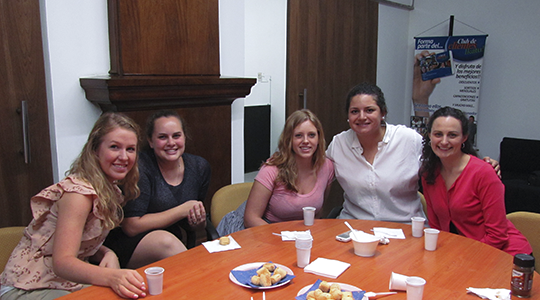 Insurance: Interns must have international medical insurance that covers them during their time in Paraguay. 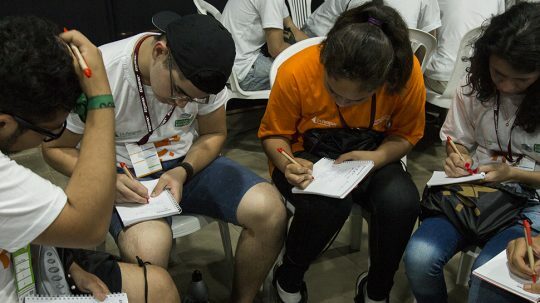 Arrivals: Interns should arrive in Paraguay preferably on working days to guarantee them entry to the Interns House and adequate integration with the Foundation. If you are interested in joining the team through our internship program, please click on the image and get to know the requirmeents. Do you want to apply to the program? If you have already read the requirements and want to live a unique experience, we invite you to complete the application form. 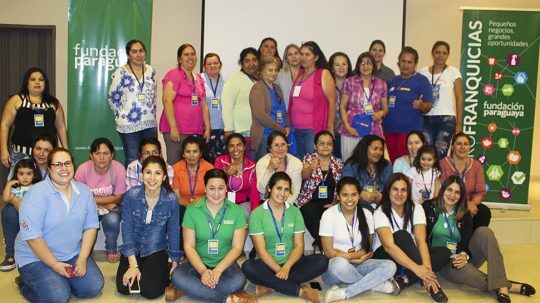 To obtain more information about the current needs of the internship program, do not hesitate to contact the International Internship Coordination of Fundación Paraguaya by writing to: internships@fundacionparaguaya.org.py.